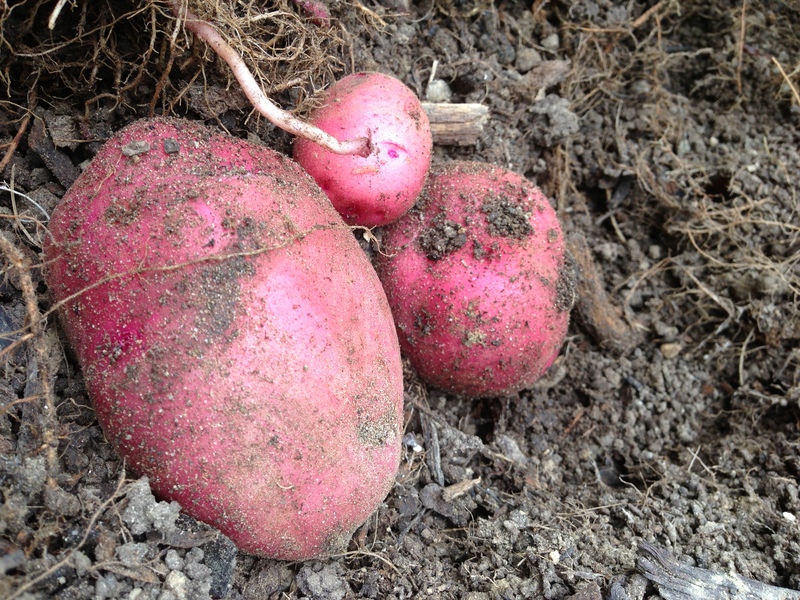 My potatoes are ready to harvest. Knuckling up from under the crumbly soil, red, firm, practically begging to be dug. 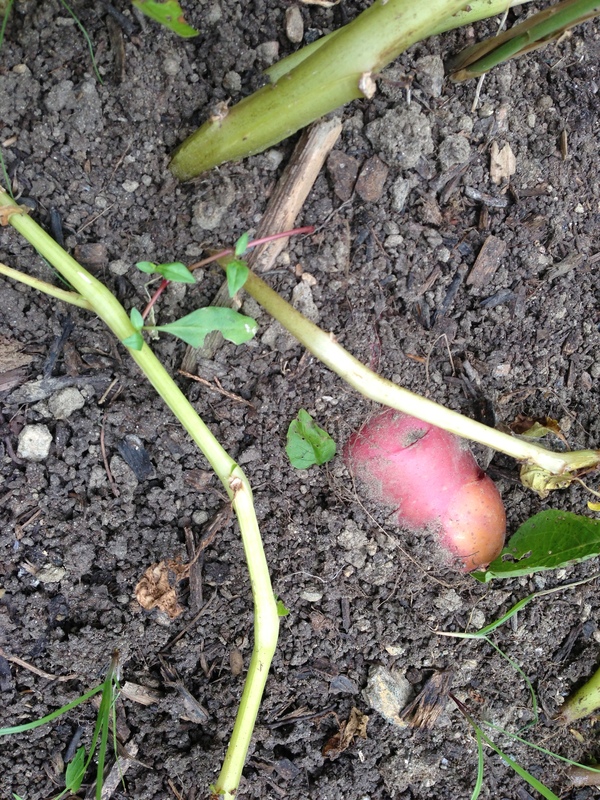 The tops of the plants have collapsed and faded, letting me know the tubers have reached their point of ripeness. And I’m on my knees (on my gardening pad, protecting my getting-to-be-arthritic knees) thinking about things that grow under the soil. 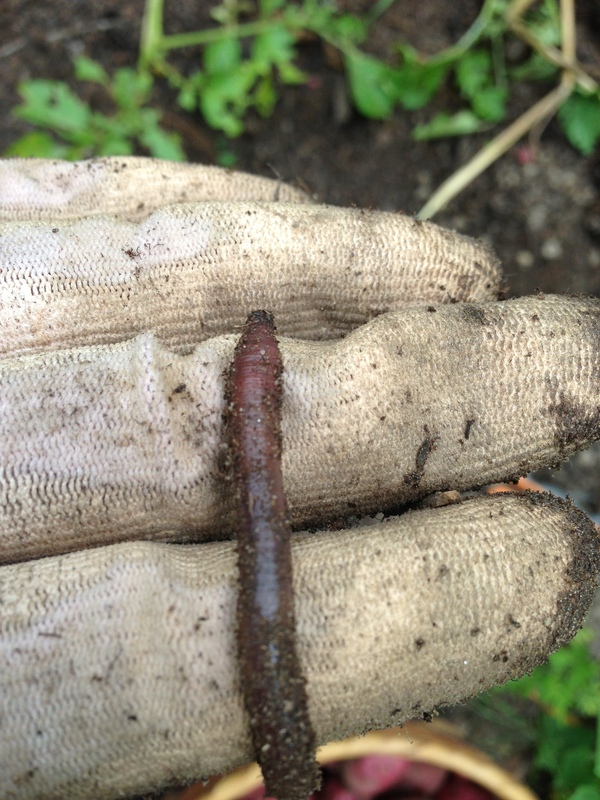 Earthworms, like the one strutting across my gloved fingers, surprised in its wanderings around the potato neighborhood. Gil tells me that earthworms are actually an invasive species and have disrupted the ecology of the forest floor. I’ve always liked earthworms, admired their digestive capabilities, and wanted them to multiply in my garden. At the same time, being a little squeamish, I’m anxious about coming across them writhing in my path. 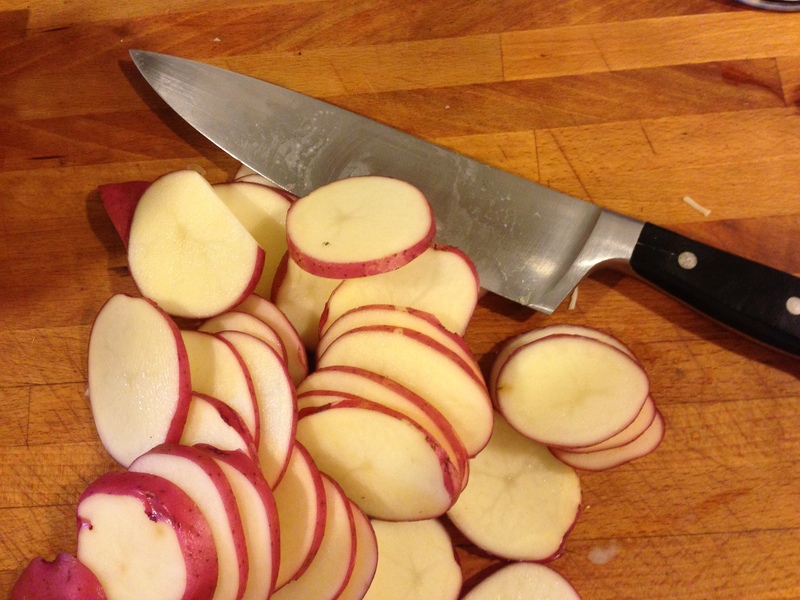 Here are potatoes, washed and sliced, for a summer gratin. So fresh they slice more like cukes or squash. 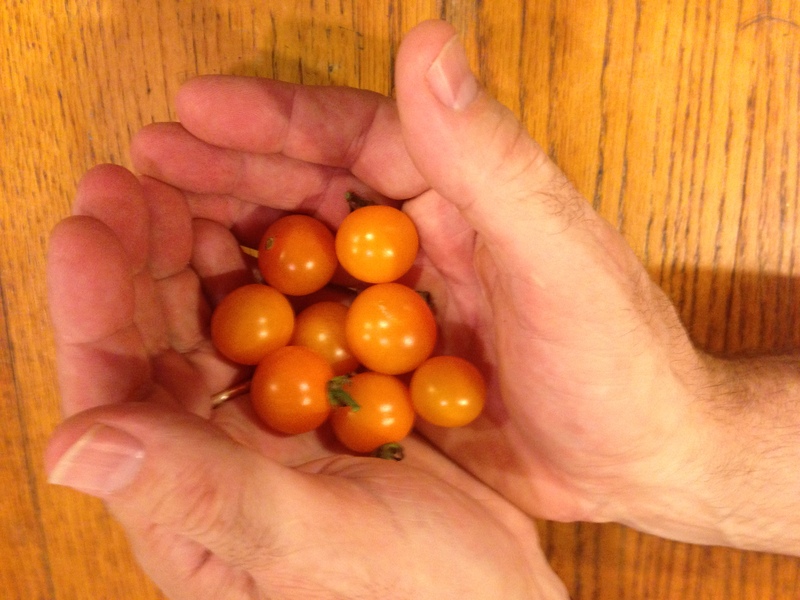 Moist like just-picked tomatoes. I’m thinking about anxiety, another thing that, like a potato, grows underground. You can put them aside, the things that worry you, by day. The yet-to-be-paid bills, the yet-to-be-written article, the yet-to-be-published book, the yet-to-be-proofread galleys, the yet-to-be-folded laundry. But roundabout 11pm, lying between the sheets, the air conditioner blotting out all distractions, those anxieties come back for their nightly haunting. Herbal tea, you say? Hot milk? Meds? All you can do is dig yourself out of the dirt by the next day’s sunlight. Onions swell beneath the dirt. 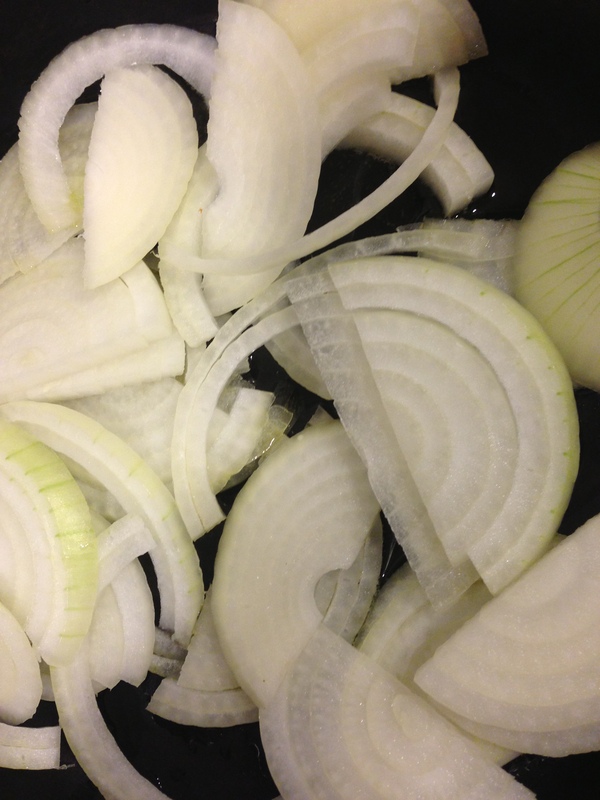 Onions to fry in olive oil for the gratin. Creativity also grows underground. Say I have an idea for a new story. An idea about the way a certain neighborhood looks in a New York of a different age. A thought about a character the other characters call simply the Turk. A whaleboat loaded with cabbages. Ideas percolate under the surface and peep up occasionally. You’d better write them down in a notebook or they’ll descend back down again. Layer the potatoes in a casserole dish. This gratin is simple. 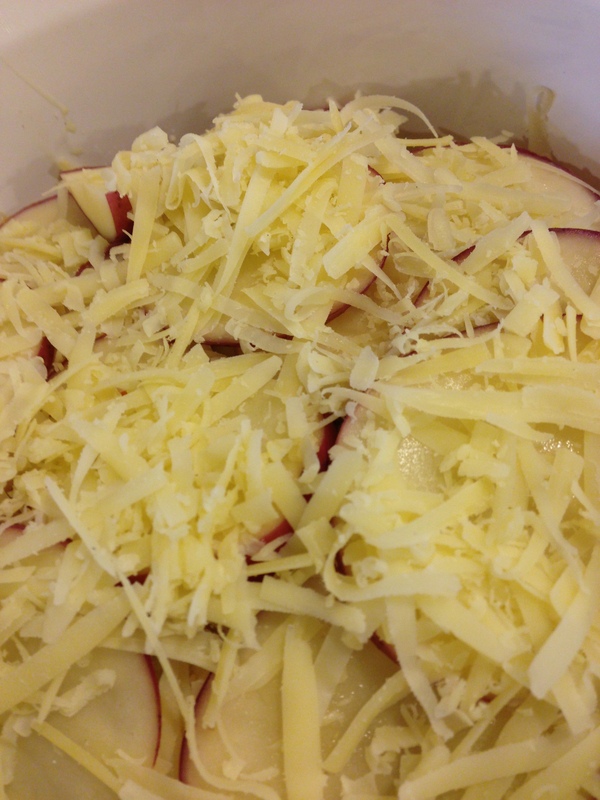 Place the rounds, spoon the onions over and then the shredded gruyere. One, two, three layers. Extra cheese on top (no anxiety about its cost or its cholesterol!). Give anyone deserving a shred. 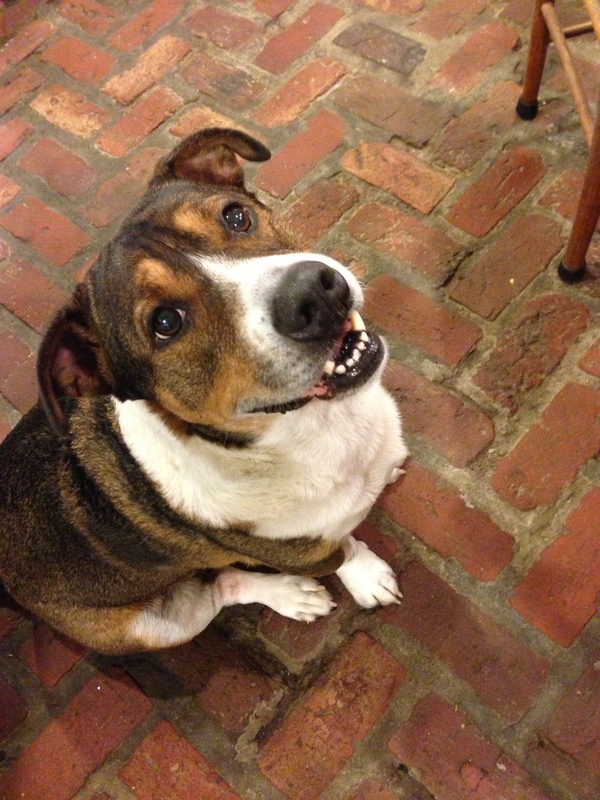 Take a break from proofreading your galleys. Pour a pint of cream over the layers. A pinch of salt, a few grinds of pepper. Crank the oven to 425 degrees. It’s hot in here, isn’t it? The rest of the ten pounds of potatoes, homely and crumbly, await their cold bath. They’re dug up now, won’t ever go back. Anxiety, creativity, things to bring into the light of day. It’s their turn in the sun. Not sure if this recipe is sweet or savory, but it brought a smile to my face anyway. Thanks. I’m surprised, thought they would ripen in August. Go figure. Nature knows best. As I read this… I imagined this: A recipe for eliminating HIGH ANXIETY: Scrub it thoroughly before slicing its entirety into uniform slices. Peeling is not necessary. Chop up any remainder into tiny dices. Arrange the pieces carefully in a pan which will tolerate a very hot oven. Sprinkle generously with whatever weeds you have on hand. Pour a pint of cholesterol over it all. Put the pan into the very hot oven and forget about it. Relax. (Turning the oven’s exhaust fan to HIGH is a good idea.) Repeat as necessary. Your potatoes are early this year, or they would be if they were planted over here. 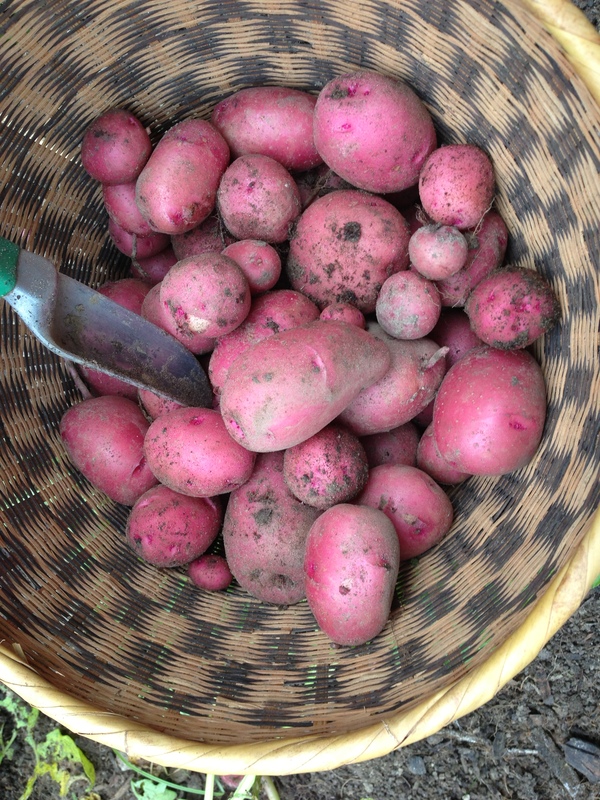 Our potatoes are still very green and relishing the sun. Don’t feel like you are the only one with ‘what-ifs’ in your ears when the lights go out!